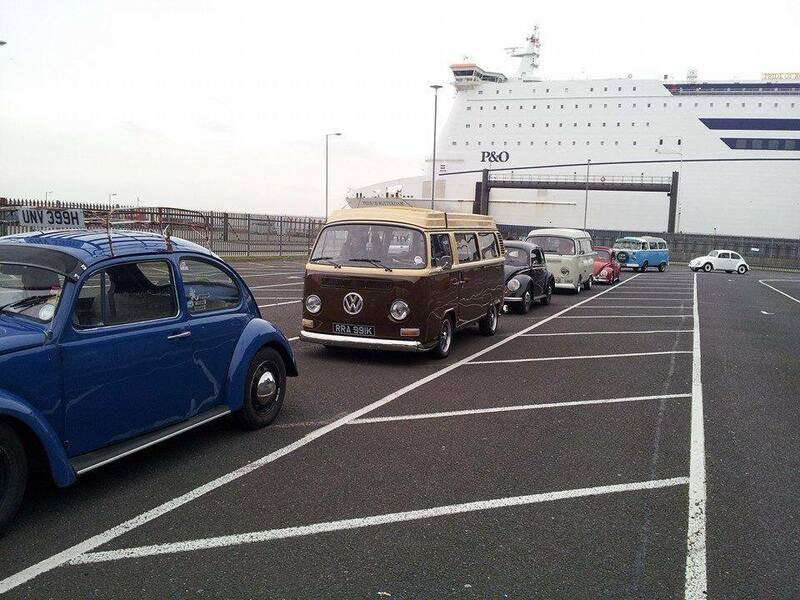 A few shots from the northern cruise to Belgium for the VW show, Freddyfiles in Ninove, Belgium. We started in York and headed to Hull for the overnight ferry, had a great evening on the ferry before getting in a few hours sleep to wake up refreshed and ready for the Saturday cruise in Belgium. We left the ferry port and headed for Jabbeke services to meet the southern cruisers, they arrive at around 11am, where Darren Medland cooked bacon butties for all. It was then time to head off to the brewery. The pictures can tell the rest of the story, enjoy and if you spot your ride among these, please comment at the end and let us know which is yours, make model and year would be good See you all in 2015. If you love the aircooled shows, please do come along to our show Field of Dreams on York Racecourse, the show is aircooled only, we have an aircooled only camping section within the show and a general camping just beside ethe show area. See www.classicvolks.com/vwfieldofdreams.html for more details and to book tickets. Fantastic!! .. makes for a good read and the pictures are to die for. Nice one.